For a sporting event still reeling from doping allegations, the last thing the Olympics needed was more negative coverage. The focus leading up to Rio 2016 was on the fallout from the Russian doping scandal and the International Olympic Committee’s response – or lack of – to it. But another long-running problem has unwittingly come into the spotlight; sexism in sport and how commentators and media perpetuate it. 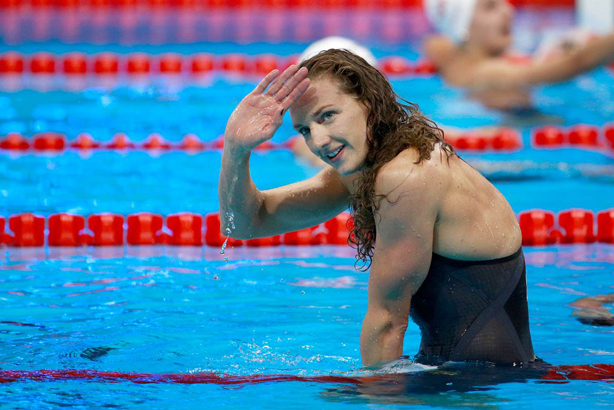 A prominent Rio example was the Hungarian swimmer Katinka Hosszu who won gold in the 400m individual medley. When the camera panned to her husband and coach, NBC commentator Dan Hicks said: "There’s the guy responsible for turning Katinka Hosszu, his wife, into a whole different swimmer." Social media users suggested Hicks might have wanted to focus on the woman who actually did the swimming. 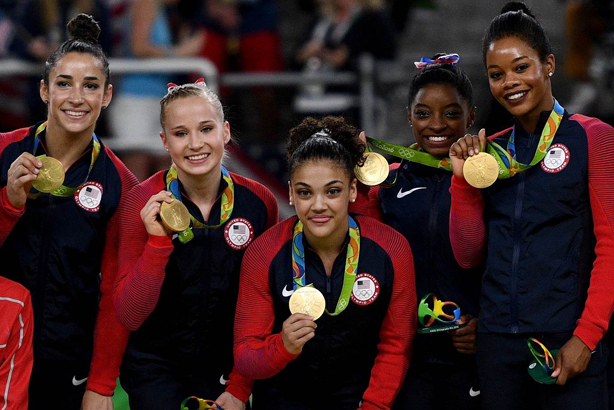 Another NBC commentator, Jim Watson, said of the crushingly dominant US women’s gymnastics team, as they stood talking to one another on the sidelines: "They might as well be standing around at the mall." That one went down as well as you might expect too. This is not simply people being over-sensitive. Cambridge University Press (CUP) has carried out a study of English language relating to sport, using multi-billion-word databases of written and spoken English from a range of media sources. It revealed huge discrepancies in how the media and fans alike talk about men and women in sport at the Olympics. The study will continue throughout Rio 2016 (and if these incidents are anything to go by, the researchers will be kept very busy indeed), but topline findings throw up some concerns as to how sportswomen’s achievements are diminished. "Notable terms that cropped up as common word associations or combinations for women, but not for men, in sport include ‘aged’, ‘older’, ‘pregnant’ and ‘married’ or ‘unmarried’," CUP said. In contrast, the top words for men in sport are more likely to be 'fastest', 'strong', 'big', 'real' and 'great'. The research pointed out that this is when people are actually talking about female athletes in the first place. The only context where women are mentioned more than men is to mark their sports out as 'other', with overt gender marking far more common for women’s involvement in sport – men’s is often considered the default. Sexism should not be the focus of the Games; we should be celebrating the achievements and dedication across the board. But while progress has been made in some respects – there are more women at the Games than ever before in Rio as 45 per cent of the athletes are female – more effort needs to be made to speak of sportspeople in equal terms. Such misguided talk does not just occur at the Olympics, but considering the IOC has been battling reputational worries for a while now, it really does not need more bad press. The discrepancy across the board shown by the CUP research indicates there is much work to be done in changing our perception of sportswomen and how we discuss their efforts and achievements. Nobody wants sexism to overshadow the Olympics, so the media and commentators need to shape up – and fast. And for any PR firms talking about the Games, this minefield of language needs to be front of mind at all times – they owe it to themselves, their clients and the phenomenal athletes whose performances we are enjoying. Will Deliveroo's minimum wage saga leave a bad taste for customers? Kevin Roberts' gender comments: misguided, but how reflective are they of problems in the PR industry? Your call: Are incidents of sexism in marcomms isolated or systemic?